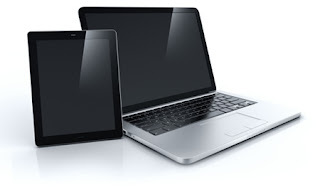 Home laptops Tablets Tablets taking over – Why laptops are still relevant ? Tablets taking over – Why laptops are still relevant ? Since the introduction of tablets in April 2010, they are popping up all over the place, from fast-food restaurants to classrooms. Some have already declared it the end of laptops as people switch to the smaller, app-based models, but, do laptops still have a future? Whichever you choose, just be careful using either at night as sleep patterns can become disrupted! However sleek, portable and connected tablets are, they just don’t have the power behind the scenes of a laptop. If you have a job that requires you to occasionally tweak or finish projects between the office and home, you will be far better off with a laptop. It will be able to run more powerful programs alongside other software, whereas a tablet quite quickly runs out of processing power with a number of apps on the go. If your job isn’t one that requires working on the commute then great, but a tablet still might not offer the performance you are after. Tablets are perfect for a quick app game on a short journey but with a laptop you even have the option to play powerful games while you wait to arrive at your destination. With a laptop you will have a full keyboard, not a touch-screen, and the option of larger and higher-resolution screens. There are a few advantages to this. For one it makes typing and finishing work easier and the displays are more resistant to knocks, whereas a tablet screen is incredibly sensitive and can be damaged just by a scratch. Pound-for-pound, the technology inside a laptop will stretch your money further. Obviously this depends if you need a powerful device or are just looking for something to entertain you for short periods of time, but laptops, in part owing to the rise in tablets, can be found at fantastic value and are well worth considering.